I have cornered kings and queens but my friends try to belittle me saying, it was just chess! I have been told to stop acting like a woman but with a mind like mine it is hard not to be pregnant… with ideas! I have been told to be realistic, to focus on what is in sight , what is important, but what about that what happens at night, like stealing of coffins in burial sights, isn’t that a ‘grave’ matter? I am old school, I have been raised with Reebok and Nike so the first time someone said to me Gucci I asked, who she? I have watched myself in the mirror, long, couple of times! so I have questioned if I have extra balls at least apart from my eye balls! I have died inside, so how can I care about tomorrow? I have dwelt in the past because I see no future and i am not blind. so what do I look for first, myself or my mind? I have been in love because I have watched her feel for him what I feel for her. I have waken up alone to a loud silence so I have watched time go, move, just go! I have been a best man in a wedding before and I watched the bride marry a good guy but I was right there… the best man!! I have stared at my phone a whole day without it ringing, with just a single text..
not from a best friend but Safaricom! I guess they didn’t have to start with a hi if they simply wanted to remind me about my okoa jahazi balance, I understand. that my feet, can only envy. See, I have strength in places my muscles cannot stomach! wanted a woman who will feel her heart with word and has a destiny bigger than what men see! when all I have ever wanted is a woman who will make me want to live more not breath less! when life itself , is short! because I think it would av made a lot of sense if Neil Armstrong came up with the moon walk! when there are kids out there learning under trees. it’s okay to die of malnutrition when you get to class three or four but before you do can you please learn how to double click, you know! Who do we think we are ? so you go strong on your salaries while we stay weak with division. I keep telling myself, before anyone says that we cannot kick him or her out of parliament, they should remember we kicked polio out of Africa! and she was not safe because of her tribe? forgotten it because he was not safe and he was not safe because of his tribe? they were safe as long as they were of a convenient tribe? I knew I had a right to be confused in a world where a guinea pig is not a pig, right? but now i know i really do have a right to be confused in a country where we fight for people who have their houses surrounded with security while we ourselves walk around with bodies that cannot even stand as guards! it’s that, we should fight! not our neighbors, but fight those things that will make you and your neighbor to fight! its that, the peace that is needed out there, is in here. that is the kind of peace that is needed out there. because they are too short they might need to look up to us! its that I am not my mother’s tribe, I am her pride! I am who I chose to be and those I did not chose! so yes I am not my mothers tribe, I am her pride. when he fathered a son. i was three, and i was crawling like a cat! six watts of sick words, what’s what? even if i make them up! with words, am too cool. freeze that! i have actually been crowded with shouting thoughts running in my mind! i am more, far more,than what meets the eye! …I wonder how i will do something like this ? Awesome Lesson….I am not my mother’s tribe I am her pride. beautiful strings of words. I LOVE YOUR WORK! ! The poetry is top notch so amazing and inspiring….. You are truly good at this.. My favorite is” to my future wife “….. I love his flow, his uniqueness and creativity…people should create music from his words. personaly,am na upcoming spoken word poet. it is really creative. well done brother! Arguably the best in Kenya in my opinion. Roar on Mufasa, you dont have to be a LION to be KING. 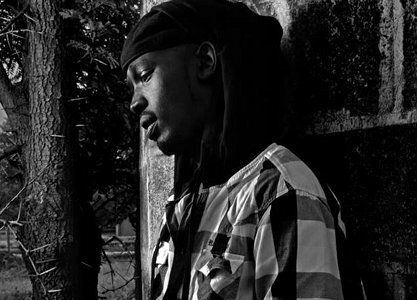 Mufasa is a spoken word artist, actor and singer born and raised in Kenya. He popped into the spoken word scene after winning a spoken word slam competition. Since then Mufasa has been performing in all major poetry events in Kenya. Raised by a single mother, Mufasa is a passionate performer on stage and hides no emotions when he speaks about his life and disturbing issues in the society.